If you have a beard that is any longer than stubble, you must start using a beard brush. A combination of the right grooming tools as well as the proper grooming techniques will ensure that you look like a million untaxed bucks no matter the occasion. Simply put, there are too many men that have the ability to grow a great beard, but let this potential slide to waste due to lack of proper grooming. We’re here to tell you that grooming your beard is important. And one of the best ways to keep it in tip-top condition on a daily basis, aside from beard trimming, is to use a beard brush. 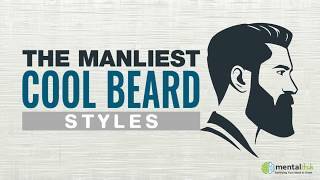 Below are the most important things you need to know about these great beard maintenance tools and how you can go about selecting the very best one for your beard. There is nothing esoteric about the beard brush. It is as simple and straightforward a tool as they come. As its name implies, it is a tool that is specifically designed to brush your beard. The brushing motion provides stimulation to your beard resulting in healthy hair follicles. The tool can also be used to massage in special beard oils, beard lotions, and beard shampoos. Beard brushes are highly effective tools that benefit anyone with more than a few centimeters growth, although they are particularly useful for longer beards. Your average beard brush consists of a handle and bristles. It is imperative that you select a model that uses boar bristles (more on why this matters below). There is a good deal of cheaper models that try to pass off plastic or vinyl bristles as boar bristles. Steer clear of these at all costs. The handles of the best models are made of smooth, comfortable, ergonomic wood. Though little is known about the origin of this grooming tool, its history can be traced as far back as the mid 17th century. During the early years of the beard brush, they were seen as something of status symbols and were often made of extremely exotic materials. These included handles of silver, gold, porcelain, tortoiseshell, crystal, and ivory. The bristle end of the beard brush has been made with several different materials since the tool’s birth. While the majority of quality beard brushes are made with boar bristles today, bristles from badgers and horses were also used in the past. Indeed, badger bristle beard brushes are still popular in some reaches of the world, including China. Part of the reason they are uncommon in North America and Europe is the badger’s status as a protected species in these areas. Like the tool’s design, the process of using a beard brush is simple. We recommend starting by cleaning your beard with a high-quality shampoo and conditioner. Brushing a soft, clean beard is far more effective than brushing a dirty, scratchy one. After cleaning and conditioning, gently brush your damp or dry beard with your beard brush in the direction of growth. You might choose to add a drop or two of beard oil each day to keep your facial hair soft and manageable. Those with very long beards might even add a few drops of beard oil throughout the day for the absolute best effect. Not all beard brushes are created equal. It is very important to do your research before purchasing one, especially if you plan on investing in a high-quality, expensive model. The most important quality to look for in a beard brush is the bristle type. As is mentioned above, boar bristle is almost always the best choice. Both boar and badger bristles are firmer yet less scratchy than synthetic models that use plastic or vinyl. They are softer and provide much more effective treatment. It is also important to choose a beard brush of the correct size and type for your specific needs and preferences. Though most beard brushes are all in the same ballpark size-wise, they do fluctuate a bit. The smallest models are best for those with small beards (or just mustaches) while the larger models are perfect for those with unruly mops. Furthermore, there are numerous types of beard brushes, each made for a different length of growth. A beginner beard brush is best for someone growing their first beard while more advanced detanglers do a great job on those big bushy, long-term growths. As mentioned above, there are some beard brushes that simply do a better job than others. So we’ve taken some of the guesswork out of the selection process with our top three beard brushes below. After some serious testing, these are our three favorite beard brushes we have come across. With 100% boar bristles and the sleek European style that R.S. Stein is known for, the Military Style Square Brush is a solid option that clocks in at just over $20. The product is solid and long lasting with a design that quickly and easily cleans and distributes oil throughout. This particular model is perfect for those with thinning hair. Another one of our top selections, the Zeus 100% Boar Bristle Pocket Beard Brush is a steal at only a hair over $10. A solid product all around, our favorite aspect of this brush is its travel-friendly size. It’s perfect to store in your car or at the office for later use. Three rows of 100% boar bristles mean that this brush gets the job done, even on the driest, wiriest whiskers. The aptly named 100% Boar Hair Bristle Beard Brush is made of medium stiffness 100% real boar hair set in a round bamboo handle. The handle’s military grip design makes for the utmost in ease of use and mobility. 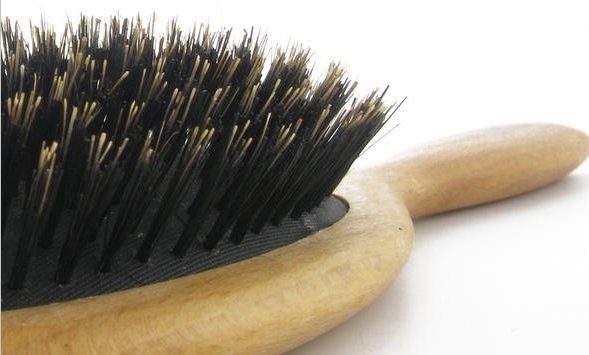 While detangling hair and spreading oil, the brush also promotes hair growth and healthy skin. Few companies make Boar beard brushes better than Better Boar Co. And at a few bucks over $10, the brush is hard to beat. Do you have a beard? Do you like to look as neat, professional, and stylish as possible? Then you can’t let your beard get away from you. A tangled mess of a beard looks anything but good. A beard brush is made to help. These brushes help men of all types keep their beards neat, clean and well maintained. In addition to contributing to the look of your beard, they weed out dirt and grime while promoting both healthy skin and health facial hair. No matter the type or size of your beard, a beard brush is for you.